An NYPD Sergeant who gained some measure of notoriety for running a karate dojo in his off-time was arrested last week for shooting the mother of his child in the neck during a domestic violence incident. Sgt. 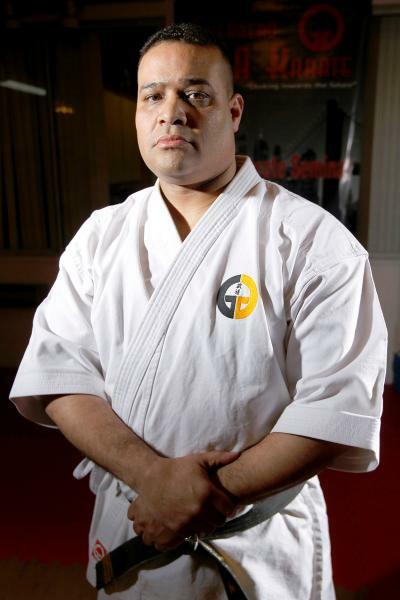 Jose Guerrero, who had been dubbed “Karate Cop” for founding a dojo in Yonkers, is the latest in the long string of abusive cops (family members of cops are four times as likely to be abused vs. the general population) to land in hot water for assaulting their significant others. However, the unnamed woman was fortunate enough that Guerrero’s attempt to murder her was unsuccessful and she was released after being treated for her wounds at St. John’s Hospital in Yonkers. Another surprising development is that Sgt Guerrero was actually suspended without pay, rather than the typical paid vacation that cops usually receive after being arrested. Although a bullet to the neck could very easily be fatal, he was only charged with second degree assault. So he did manage to get somewhat of a Policeman’s Discount. An NYPD sergeant and local karate sensei was busted for shooting the mother of his child in the neck in Yonkers Wednesday night, local authorities said. Jose Guerrero, 49, fired his handgun at the 39-year-old victim after a domestic dispute escalated in his apartment, the Yonkers Police Department said. The Bronx cop, who works in the 45th Precinct, was taken into custody at his Warburton Ave. home after the bleeding victim stumbled just before midnight Wednesday into the Emergency Room at St. John’s Hospital in Yonkers, police said. The woman, who was treated and released with a wound to the neck, told cops she had been fighting with Sgt. Guerrero earlier that night. Apparently, he wasn’t doing quite enough karate to keep him away from shooting women in the neck, though. Given the potential gravity of the injury he inflicted upon his victim, it remains to be seen if the Karate Cop will be able to karate chop his way out of this situation.